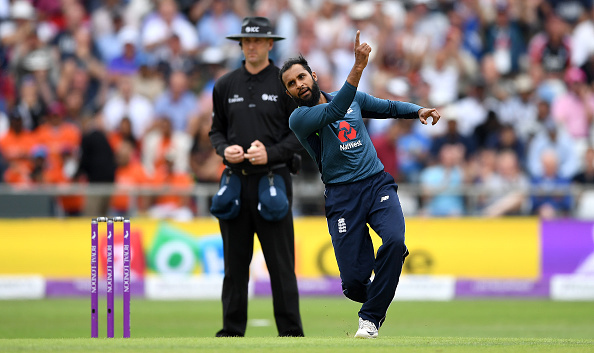 Adil Rashid picked 3 wickets including Virat Kohli for 71. England and India clashed in the third and final ODI of the three-match series to decide who takes home the winner’s trophy. India won the first ODI at Nottingham and England squared the series at Lord’s to set up this exciting encounter. England captain Eoin Morgan won the toss and chose to bat first. James Vince came into the team to replace Jason Roy. However, India went in with three major changes. Shardul Thakur and Bhuvneshwar Kumar replaced Siddharth Kaul and Umesh Yadav, while Dinesh Karthik replaced KL Rahul after his duck in the second ODI. India’s start was abysmal as Rohit Sharma got out for 2 runs off 18 balls. Shikhar Dhawan (44 off 49 balls with 7 fours) added 71 runs with Virat Kohli before he was run out in tragic fashion. Virat Kohli and Dinesh Karthik then took on the English bowlers. Karthik looked amazingly confident for his 21 runs before Rashid bowled him. 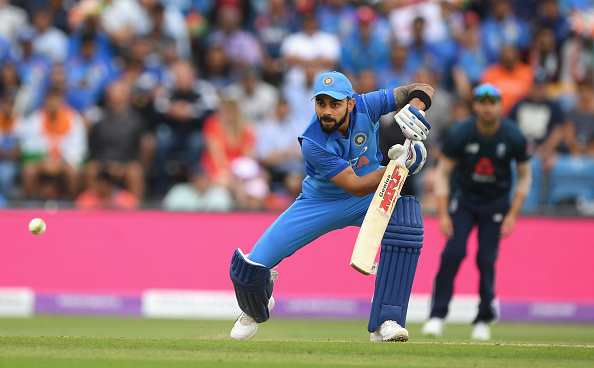 Kohli himself was set for a century, but a ripper of a delivery from Rashid knocked his off stump out and the Indian captain went back to the pavilion for 71 runs off 72 balls with 8 fours. 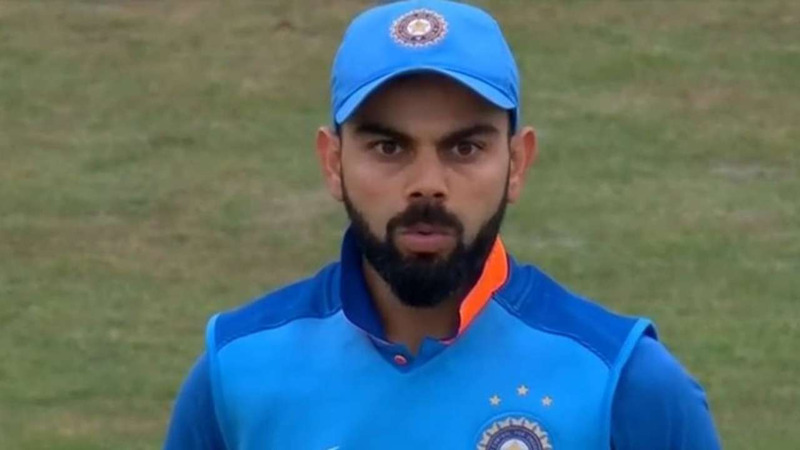 Meanwhile, Kohli had also become the fastest captain to make 3,000 ODI runs in just 29 innings, breaking the record of AB de Villiers, who took 60 innings, MS Dhoni 70 and Sourav Ganguly 74. Raina went back for just 1 run and MS Dhoni got out for 42 off 66 balls and it looked like India will reach just 200-210. But Hardik Pandya (21), Bhuvneshwar Kumar (21) and Shardul Thakur (22* with 2 sixes) took India to the final score of 256/8. David Willey (3/40) and Adil Rashid (3/49) were the pick of England bowlers. England openers Bairstow (30 in 13 balls with 7 fours) and Vince (27) gave England a flying start of 43 runs in 4 overs. After their dismissals, Root and Morgan kept the England ship steady. Root brought up the England win and his second century of the series with a four off Pandya and Morgan remained not out on 88. Their unbeaten record third-wicket partnership of 186 led England to a convincing win over India and they also won the ODI series 2-1 to cement their place as world no.1 in ODI rankings. India will now have to build a new blueprint for the Mission World Cup 2019, as the current one is clearly not working with a non-functioning middle order and dependence on just Virat Kohli. Similarly, the quick bowling department looked completely different without Jasprit Bumrah in it. ENGLAND won the 3-match ODI series 2-1.